Heat oven to 350°F. Grease bottom only of loaf pan, 9x5x3 inches. Mix all ingredients except powdered sugar in large bowl; beat 30 seconds with spoon. Pour into pan. Bake 1 hour 10 minutes to 1 hour 20 minutes or until toothpick inserted in center comes out clean. Cool 10 minutes. Loosen sides of loaf from pan; remove from pan to wire rack. Cool completely, about 2 hours. Sprinkle with powdered sugar. 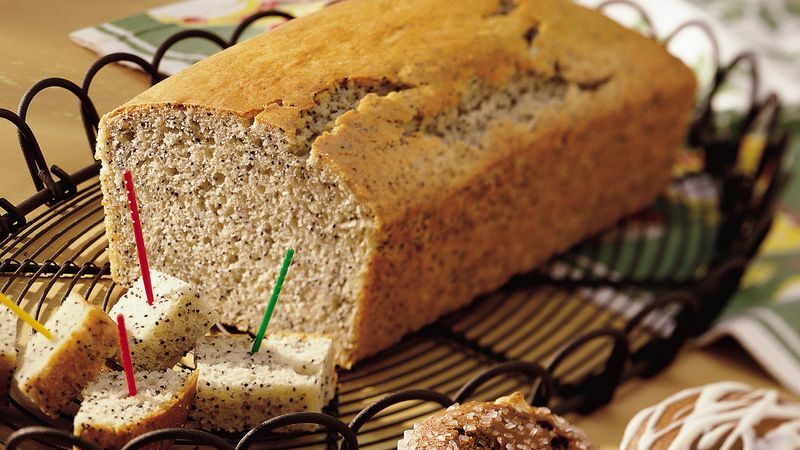 Pop a loaf of this baked bread into the freezer for a ready-wrapped gift.